While the design of the new Marten Coltrane Supreme 2 speakers had evolved over a two-year period and many prototypes had been built during this period, experience gained from installing several pairs in customers’ homes led to a change to the voicing of the drivers. The change while relatively minor (essentially changing the value of a resistor in each crossover to lower the output of the 2” diamond tweeters by about 1 dB) in scope had a rather audible impact on the sound, resulting in a much better balance between the upper mids and the treble, and between the treble and the super tweeter. This, in turn, addressed a perceived leanness in the midrange and a lack of extension at the top. 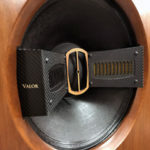 This change required that the speakers be completely disassembled, which in turn required three rather strong individuals to do the lifting of the upper section on and off the lower section, which is not as easy as it might seem when you’re dealing with 250-pound modules. While the improvement in the sound was appreciable, this was only the first part of what was an extended tuning process. The remainder of the day was spent minutely moving the speakers and more importantly, playing with room treatment. Existing treatment of the Marten end of the room was focused on bass traps and absorption. While this was retained in the final set up, a significant number of diffusers were added to the room both between the speakers and on the side walls of the room in front of the speakers. In the end, this had more positive effects than the crossover change. With this fine tuning, it was finally possible to hear what the Martens were capable of doing. If there had ever been any doubt that the Martens were a world class speaker, the doubt was dispelled. Playing the “Grand Chorale” by George Delerus from the Day for Night soundtrack, the balance between strings, and brass was almost perfect. Where there had previously been some shrillness particularly on the trumpets, now there was none. On the “Ebben Ne Andro” aria from Catalani’s La Wally movie soundtrack, the voice of the soprano was exceptionally pure. In Beethoven’s “Piano Concerto No. 3 (Telarc CD 80063), the piano was nicely integrated with the orchestra. Piano notes seemed to just hang in the air. The stage was wide, the horns lovely and voices crystal clear. Haydn’s Nelson Mass (Argo LSD 478 3180) had a huge stage. Voices exhibited exceptional intelligibility. Female voices in particular were superb with excellent projection and intelligibility. Reed instruments had very realistic tone, but could be a bit bright at the top. String tone was excellent and begged you to play some of the better RCA Shady Dogs. While I could give countless additional examples of how the Marten Coltrane Supreme 2 speakers handled specific works, I think that it makes more sense to briefly note a few of the common threads which ran through everything to which we listened. 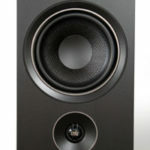 This is one of the very few speakers which I would characterize as full range. At one point some years ago, I owned a pair of gargantuan 24-inch subwoofers which could on the right music make your pants flap. 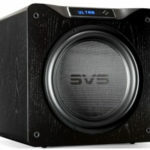 The Supremes are capable of moving similar amounts of air and plumbing similar depths; however unlike my 24-inch subs, the bass on the Marten Supreme 2 is exceptionally well integrated with the remainder of the drivers and never calls unwanted attention to itself. It will however tell you if you have any room-related problems in the bass. 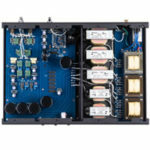 Prior to my week in Encinitas, I would have said that solid-state amps have come a very long way since their introduction, but if what you want to achieve is some approximation of live un-amplified music, particularly acoustical instruments played in a real space, then you should limit your focus to a handful of tube amplifiers made primarily by Audio Note (Balanced Kegons, Ga-Kuon) and Lamm (ML-3). While I am sure that there are others (perhaps the Berning 845/211 mono blocks and some of the Jadis), the ones listed represent those with which I have had sufficient exposure to reach an informed conclusion. I would not, however, have entertained the thought that there might be a solid-state amp which should be included in that group. Let me only say that I was in error. The EMM Labs MTRX Mono Blocks are that good! They are what I would consider a game changer. I had listened to the Acapella speakers in my own system driven by the Audio Note Balanced Kegon only the day before hearing the same speakers driven first by the Purity Preamp and Acapella Atlas amplifier, and later by the MTRX amps. On first listening to Jim’s Triolon Excalibur, before insertion of the EMM Labs MTRX amps, my system outperformed Jim’s on soundstage, both width of stage, three-dimensionality and spacing between instruments, particularly as heard in the 2nd movement of the Fricsay/ Beethoven 9th, in the five-minute dialogue between the clarinet and French horn. There are three musicians sitting side-by-side. On Jim’s system, they were about a head’s breadth apart, on mine a chair’s width which is what I would consider accurate. After switching to the MTRX, the soundstage matched what had been created by the Balanced Kegons, but the biggest part of the story was twofold…every instrument seemed to gain a voice, proportionate in size to its place in the orchestra and with appropriate space and identity, giving the impression that the listener was on the stage immediately behind the conductor. The dynamics, speed and energy surpassed anything which I had previously heard on the Acapella Triolon Excalibur. For the first time the Acapella speakers had immense authority and presence. System resolution was phenomenal, particularly with respect to low-level ambient information. For once, it was possible to hear every instrument, even at very low volume levels. Even the softest sounds were not lost in the mix. Likewise, when you turned the volume up to insane levels, things did not fall apart. Regardless of sound pressure level, there was no glare or stridency. This was the type of presentation that begged you to turn up the Acapella ion tweeters. What you heard was what was on the recording. Piano tone was gorgeous and very accurate. Jim has two grand pianos and we at times listened to a piano passage and then Jim played parts of the same passage for comparison. Upper notes were sweet and the sizing of the piano appeared to be realistic. The EMM Labs MTRX had a tonal rightness that I had only heard before from the best tube amplifiers. Decay and leading edge were both exceptional. The lower registers of the piano had excellent weight. Notes were delicate when that was what the music required, powerful when that was what was needed and able to change instantaneously when that was required. These amps created a very realistic stage. By that I mean that the size of the stage was dictated by the recording, sometimes intimate, other times huge. Female voices were well served. Intelligibility was never a problem. Likewise, the size of instruments was believable and those instruments appeared to be three-dimensional and surrounded by a blanket of air. While I have heard small tube amps do this with the right speakers, this is the first time that I have heard a large solid-state amp do these things. Given the 1500-watt power rating and the degree of control which this amp seems to exercise over speakers, a listener is no longer limited in their choice of speakers. 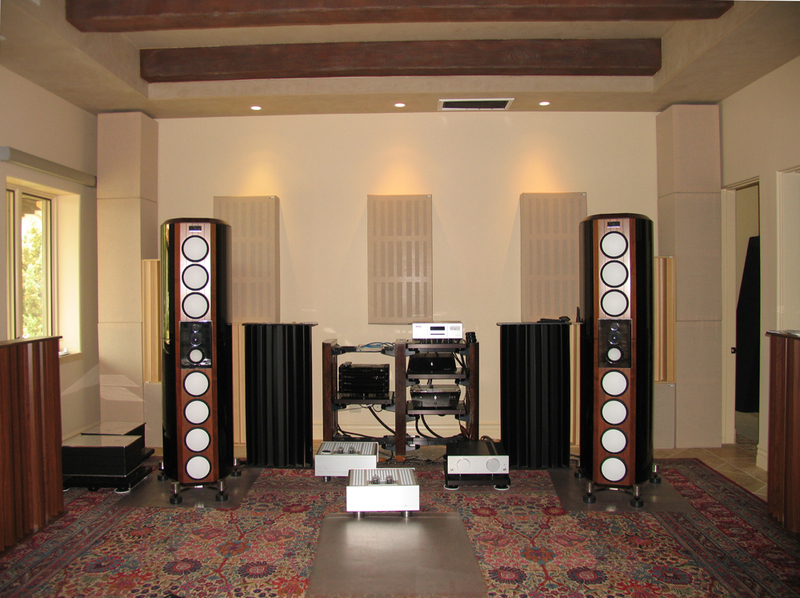 The EMM Labs amps drove the inefficient Coltrane Supreme 2 as well as it drove the very efficient Triolon Excalibur. In each instance, these amps were superior to any other amps which Jim owned. The image which comes to mind is an iron fist encased in a velvet glove. This was particularly evident with respect to the bass. Both the Triolon Excaliburs and the Coltrane Supremes use multiple bass drivers in a configuration that can present a very difficult load for an amp to drive. The EMM Labs MTRX amps surmounted any challenges presented by the speakers. Bass was tight but never over-damped. With respect to the Acapella speakers, this combination added power and bass slam. Subjectively, it was as if they now had another half octave of extension at the bottom. As things transpired, it was an exceptional experience, for the sound but equally for the opportunity to interact with the designers in a less formal setting. In each instance, these were men who loved music and were intimately familiar with the sound of live un-amplified music and whose goal in designing and building equipment was to serve the music and the music lover.